German efficiency combined with a radical approach to mindfulness. The most important book in life should be about one’s own life. The most successful German crowdfunded book of all time is finally going international. Limited edition and only available on Kickstarter. Guaranteed delivery before Christmas. Your diary, personal development book and life planner all in one. A proper offline book. Like in the good old days. I really enjoy the monthly reflections in A good plan. It stops you from lettings months pass by unnoticed. A good plan is like printed yoga. It’s good to have a plan – better yet if it’s a good one. Milena Glimbovski and Jan Lenarz obviously had a terrific plan. The most important book in life should be about one’s own life. 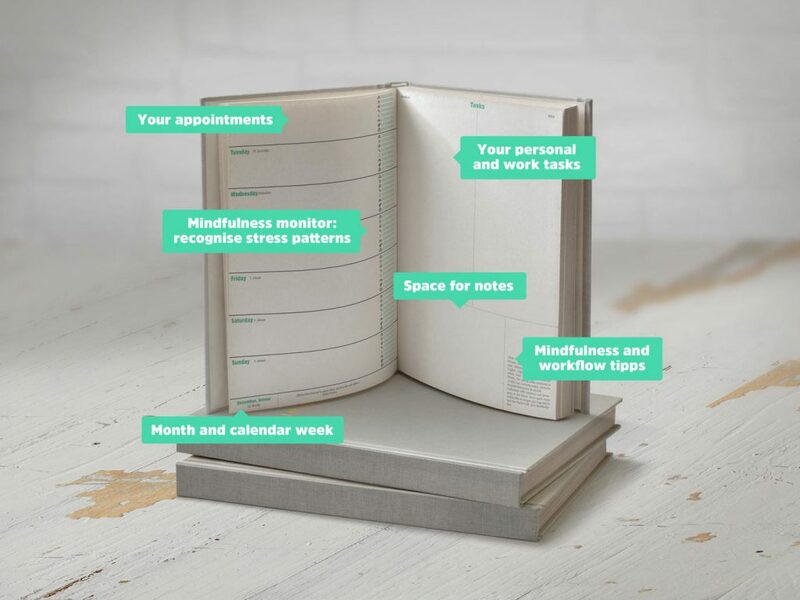 Following this philosophy Ein guter Plan has invented a holistic appointment calendar that brings the concept of radical mindfulness one step closer to you every day – without any postcard wisdom and against the growing pressure for self-improvement. The book starts with a stock take. At what juncture of your life are you right now? Where do you want to go? And most importantly, what makes you happy? The diary not only provides space to write down your appointments, tasks and notes. Each day also comes with a mindfulness monitor that helps you catch stress patterns before they get out of hand. At the end of the month you get the opportunity to pause and reflect. What have you done this month? What could have been better? Did you listen to your own needs? The fourth and final section of the book features a wide range of guest authors who share their own knowledge and experiences on how to lead a more mindful life. Jan and Milena are both entrepreneurs. Jan founded the world’s first sustainable extreme sportswear brand, Vehement. Milena is the founder of Original Unverpackt, Germany’s first packaging-free supermarket. As entrepreneurs we have repeatedly felt the pressure to overwork ourselves, to respond to emails late at night and work through the weekends. We don’t think that’s right and we’ve had enough of it. We’re convinced there must be a better way. So when we found that the book we needed didn’t exist, we just wrote it ourselves.